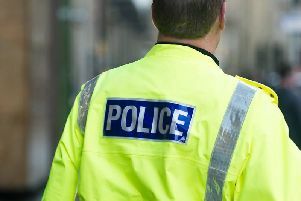 A shop assistant in Paisley has been robbed at knifepoint. The 20-year-old was working at the Co-op store in Neilston Road when a man entered, pulled a knife and demanded money. Police said the robber left with a small amount of cash and the shop assistant was not injured. The robbery happened at around 9.40pm on Friday. The suspect is described as white, aged between 30 and 40 and was wearing a two tone blue hooded jacket, red and black gloves and a scarf. He was last seen heading towards Stock Street. Detective Inspector Ian Ross said: “This was a very traumatic experience for the young shop assistant to endure and thankfully he was not physically injured as a result of the robbery.